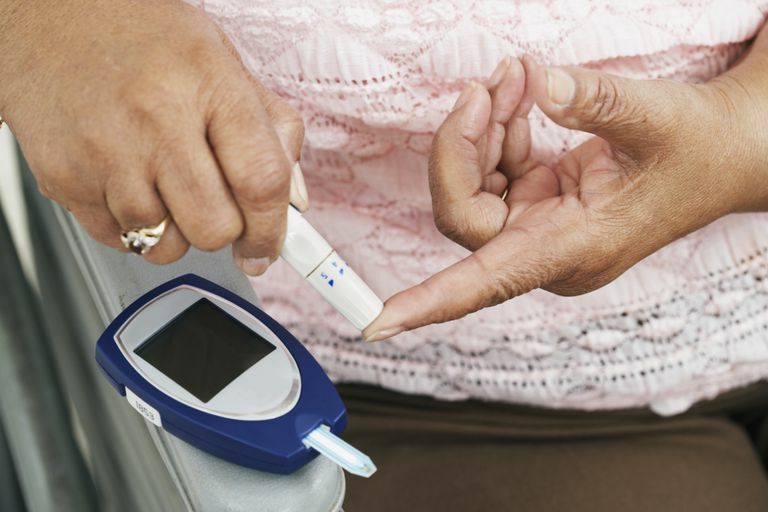 When most people hear the term "low blood sugar," they immediately connect it to diabetes. However, while low blood sugar (called hypoglycemia) is common among people with diabetes, it can also occur in people who do not have diabetes. More specifically, low blood sugar may occur within a few hours after eating, a phenomenon called reactive hypoglycemia or postprandial hypoglycemia. The symptoms of reactive hypoglycemia range from mild and unsettling (for example, feeling anxious, sweaty, shaky, or hungry) to serious (for example, developing a blurry vision, and/or fainting). However, experiencing one or more of these symptoms does not necessarily mean you have low blood sugar. These symptoms may indicate an entirely different problem, like a heart or neurological problem. This is why an evaluation by a healthcare professional is essential. In order to be evaluated for reactive hypoglycemia, your doctor will obtain your blood sugar (called your blood glucose level) within four to five hours after eating a meal, when you are experiencing symptoms consistent with hypoglycemia. He will most likely obtain your blood sugar by collecting the blood from a vein (called a venipuncture). This is more accurate than obtaining your blood sugar level from a glucose monitor. If you are found to have a low blood sugar level (generally less than 60mg/dL), and your symptoms are relieved once the blood sugar is raised, your doctor will want to search for the etiology behind your postprandial hypoglycemia, and this is where the mixed meal test comes into play. During a meal, your pancreas releases insulin, which regulates the absorption and use of sugar that came from your food. Proinsulin is what splits apart in the pancreas to form one molecule of C-peptide and one molecule of insulin; it's like the insulin precursor, so to speak. Interpreting these test values helps doctors find the "why" behind your postprandial hypoglycemia. It's important to note, though, sometimes there is no precise diagnosis as to why a person is experiencing drops in their blood sugar after eating. In other words, a medical evaluation reveals no single culprit. In this case, dietary strategies are recommended to prevent and treat hypoglycemic episodes after eating. An insulinoma is a rare, noncancerous tumor that uncontrollably releases insulin into the body. If an insulinoma is a culprit, a mixed meal test will reveal a high level of insulin, C-peptide, and proinsulin (when the blood sugar is low). If a person is taking too much insulin, (let's say they have diabetes or are factitiously using insulin), the insulin level will be very high, but the proinsulin and the C-peptide level will be low (because the insulin is coming from outside the body, not the pancreas). Gastric bypass surgery can also cause reactive hypoglycemia because food may pass too quickly through the digestive system, without all of it being digested and absorbed as glucose into the bloodstream. In this instance, like an insulinoma, all three levels (insulin, C-peptide, proinsulin) are usually elevated. If you are told you have reactive hypoglycemia, your doctor will treat it according to the underlying cause. For instance, if doctors suspect an insulinoma, you will be referred for surgery to have it removed. Limit foods with a high glycemic index, especially on an empty stomach. For example, eating a doughnut first thing in the morning can trigger a hypoglycemic episode. Eat small, frequent meals and snacks that include fiber and protein. Eat or drink 15 grams of carbohydrates immediately, such as four ounces of orange juice, six ounces of regular sweetened soda, one tablespoon of sugar or honey, or two tablespoons of raisins. This should relieve the symptoms within 15 minutes. You may need to repeat the above steps if your blood glucose continues to be low. Make sure to eat a small balanced meal or snack after the symptoms are gone. For example, an apple with peanut butter or a turkey sandwich on whole grain bread. This will prevent another blood sugar spike and consequent drop. While experiencing episodes of low blood sugar after eating can be uncomfortable and upsetting, there are ways to manage it well. Perhaps a nutritionist can help you get on track with adopting a low glycemic index diet and behaviors that will optimize your sugar balance. In the end, be safe, though, and see a doctor first. National Institute of Diabetes and Digestive and Kidney Diseases. Low Blood Sugar (Hypoglycemia). Service FJ, Vella A. (2017). Hypoglycemia in adults without diabetes mellitus: Diagnostic approach. Hirsch IB, ed. UpToDate. Waltham, MA: UpToDate Inc.
Service FJ, Vella A. (2017). Postprandial (reactive) hypoglycemia. Nathan DM, ed. UpToDate. Waltham, MA: UpToDate Inc.
Stuart K, Field A, Raju J, Ramachandran S. Postprandial reactive hypoglycemia: Varying presentation patterns on extended glucose tolerance tests and possible therapeutic approaches. Case Rep Med. 2013;2013:273957.